What Makes Honey Beneficial for Skin? Honey has long been haled as the miracle cure for skin of all types. It has been used since ancient times to treat cuts, burns, and reduce skin swellings. It is not only blessed with powerful skin saving antioxidants, but also contains amazing anti-inflammatory, antiseptic, and antibacterial properties. Anti-inflammatory means your inflamed red acne will be soothed and healed, making them less pronounced. Antibacterial and antiseptic properties will help fight off acne causing germs and bacteria, staving off more acne and pimples. Let’s explore the potent nutrients in raw honey for its nourishing benefits to skin! Below, learn about three different face masks you can try out for yourself at home, each with a different benefit. For proper skin functioning and healthy skin. Protects skin from damage against free radicals. Rich in vitamin C, raw honey is used for healing topical symptoms such as dry skin and rashes. Fights free radical activity. Slows down aging process of skin. Honey contains a hefty serving of antioxidants for moisturized and vibrant skin. Polyphenols in honey destroy free radicals that cause oxidative stress in skin cells, thereby slowing down the aging process of skin. 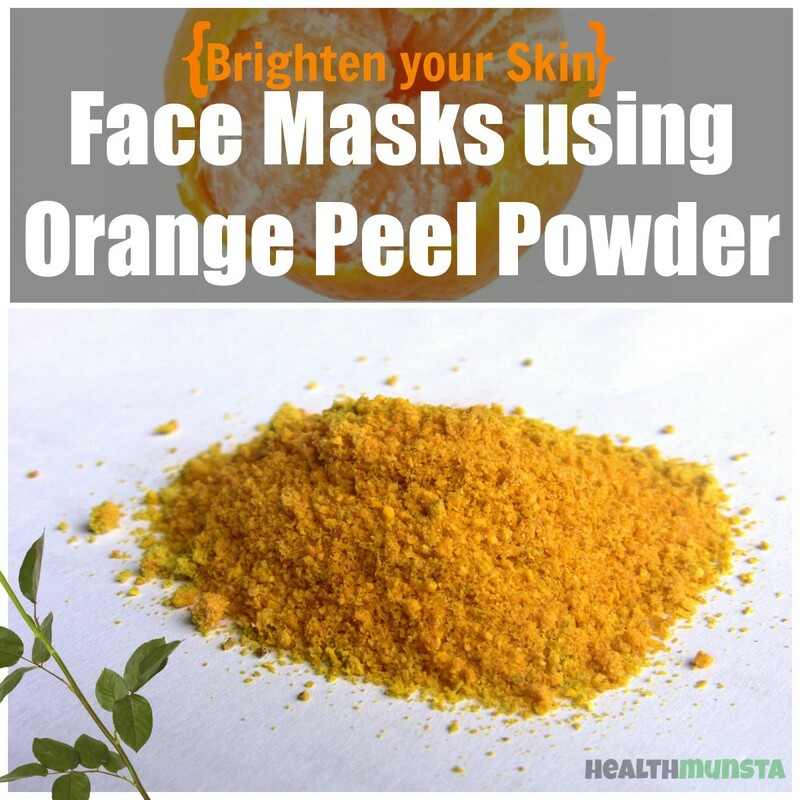 Also known as The Hot Face Mask, it is composed of honey, cinnamon, nutmeg, and lemon. It’s the lemon that causes the burning sensation, but that’s if you put more than 1/2 a teaspoon! Contains potent anti-inflammatory and skin lightening properties. Helps fade acne scars and reducing swelling and redness from acne. Anti-inflammatory. Helps reduce swellings and redness from acne. Loaded with vitamin C. Great for skin lightening and removing acne scars and dark spots. Be sure to add only ½ a teaspoon or at least five drops of lemon juice. You don’t want your skin to have a harsh red complexion plus a burning sensation! It’s nasty, trust me. Don’t rub or massage as you wash it off because you don’t want the ingredients to exfoliate your skin even more. It will leave your skin dry, causing your oil glands to produce more sebum, which may cause more acne! This mask is a bit sticky and can be a pain to get off. Simply, use lukewarm water and gently scrub your face until it starts smoothly coming off. Then you can use cold water to wipe off the rest. Using clean finger tips, apply a thick coat of the mixture onto your face. Sit for 15 to 30 minutes to let the face mask settle and get absorbed deep into your skin. When the time is up, rinse off with warm water, and pat dry with a clean towel. You are sure to notice a delightful improvement to your acne scars which will appear less visible than before! 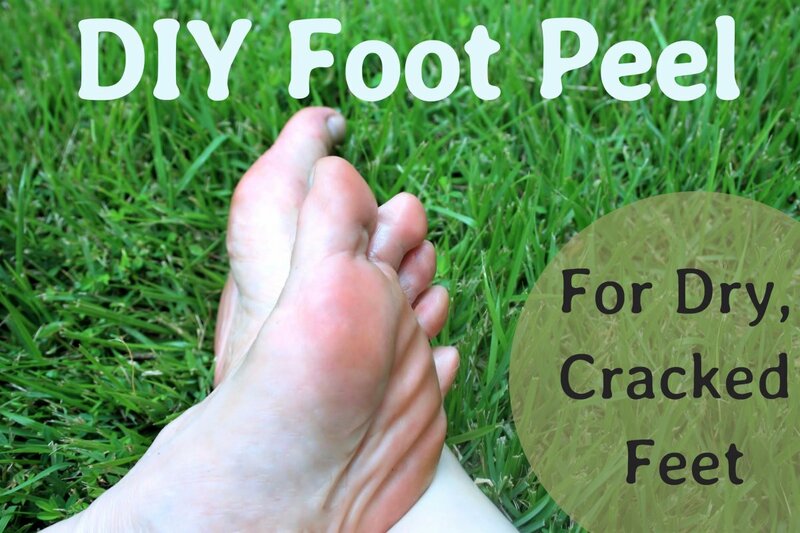 Got dry flaky skin? Well, worry no more! This amazing moisturizing mask will lock moisture into your skin cells, feeding it with the necessary moisture needed for supple, lubricated skin. People with dry skin should use this because it contains amazing ingredients that heal and nourish dehydrated skin. Rich in healthy fat and vitamin E, the nutritious avocado will help feed and lubricate withered skin, giving it a supple look and feel. Use a ripe avocado so it’s easier to mash with a fork. 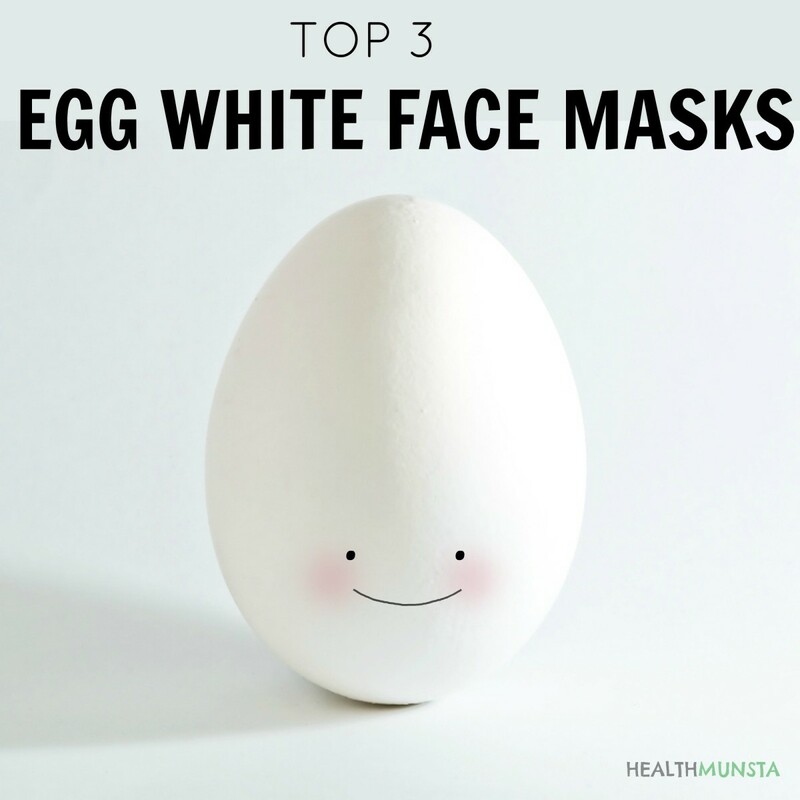 Avoid the eye and mouth area when applying the mixture, as these are more sensitive compared to other parts of your face; and the tightening and stretching of the mask may cause wrinkles. Before applying, wash your face with warm water and pat dry with a clean towel or steam your face. This is simply to open up your pores so the nutrients can sink deep into your skin. 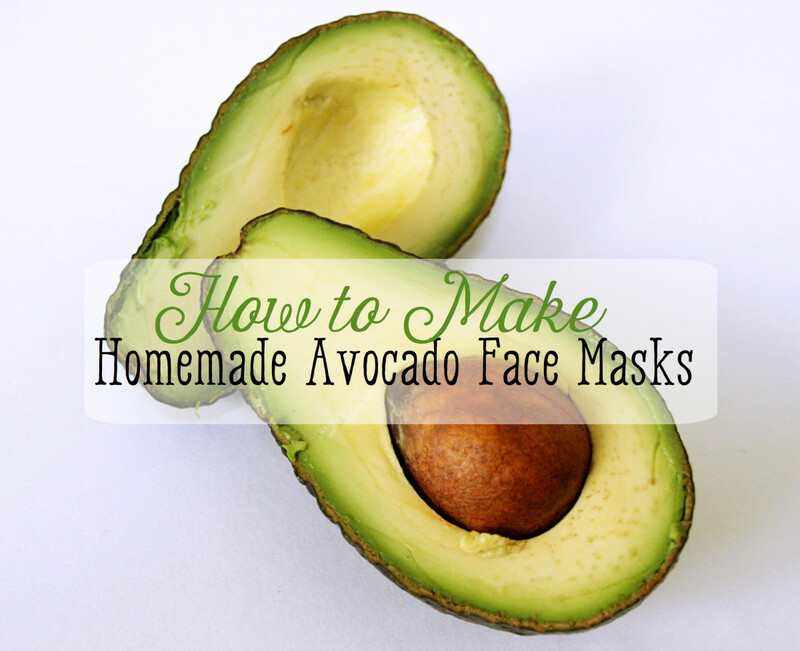 In a small mixing bowl, mash ¼ an avocado with the back of a fork or blend if it’s more convenient for you. Add 1 teaspoon honey and 1 teaspoon coconut oil and mix thoroughly. Using clean fingers, apply a thick coat of this mixture onto your face. Sit for fifteen minutes while you let the mask do its work. You can use this time to soak in a bath or get lunch ready. When the time is up, gently scrub off the mask using warm water. When it’s all off, splash cold water onto your face to close your pores. Pat dry with a towel. Enjoy the silky new feel and look of your moisturized skin! Honey's intense antibacterial action can cure existing acne and prevent any further unwelcome pimples. 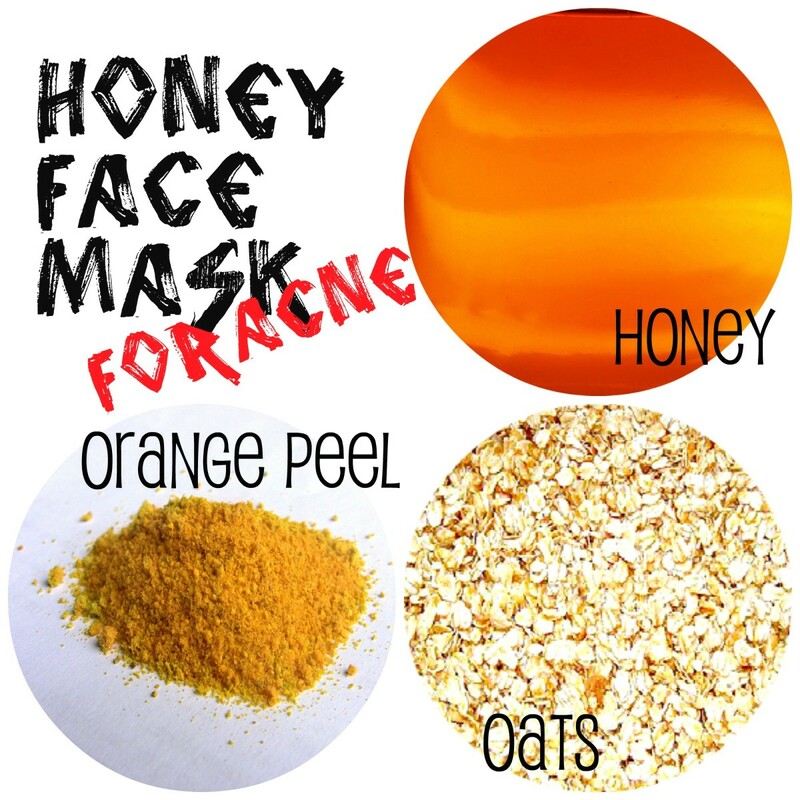 Using orange peel, raw honey, and oats, this recipe is great for getting rid of acne and notorious pimples. Raw honey contains antibacterial properties that remove germs that cause acne from deep within the skin pores. Oats not only nourishes skin of all types but also absorbs excess sebum from within your pores as it is an absorbent. This acne-fighting mask provides nourishing, exfoliating and cleansing benefits to skin. Nourishes skin. Gently exfoliates skin, removing dead cells from the skin surface, promoting smooth supple skin. Use raw organic honey for best results. Processed honey may cause skin irritation and rashes! It doesn’t matter what type of oats you use. You can use either brown oats or white oats. Be gentle with your skin when applying. Gently apply a thick coat. Do not rub it harshly on your skin as this may cause your skin to become red and unsightly. Mix the above ingredients thoroughly in a small mixing bowl. Coat your face with the mixture using clean fingers. Let it settle for 15 minutes. Meanwhile, you can lie down, close your eyes and relax as the mask does its magic. When the time is up, rinse your face, and pat dry with a clean towel. This is really effective! I love it! I'm all for beauty tips and love ingredients that I already have . 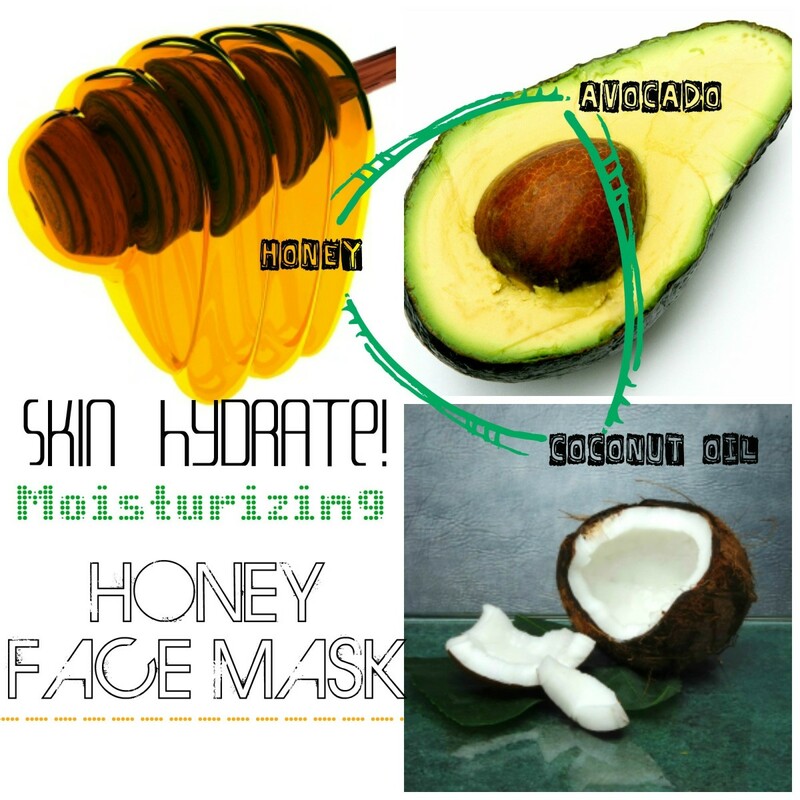 I use coconut oil everyday to keep my skin hydrated but will combine it with honey and avocado . Thanks for some awesome tips ! honey is not only good for the skin but it has healing properties too! Another great read! Here's another great tip for honey: it works great on pink eye and staph infections! I had pink eye a few times, about 4 years ago when my oldest son was in daycare. None of the prescribed eye drops seemed to be helping, but black tea and honey did the trick! Also, I had a staph infection and once again, the antibiotics weren't doing much to clear it up. I started using black tea bags as my warm compresses, and then I'd dab honey over the soar. Within 1-2 days, all of the infection had drawn to the surface and my chills/fever went away. Sorry for the details, but I'm a true believer in natural medicines and those two personal experiences are what made me the believer that I am today! Nice piece. Good to get back to basics and out of the chemical laden cosmetics. I'll be trying honey tonight. Beautifully constructed and well researched article. Thank you for this. Great masks they sound as if they would really help! This is great! I have been looking ALL over for something like this! I'm going to have to try each recipe. Thank you for sharing!! 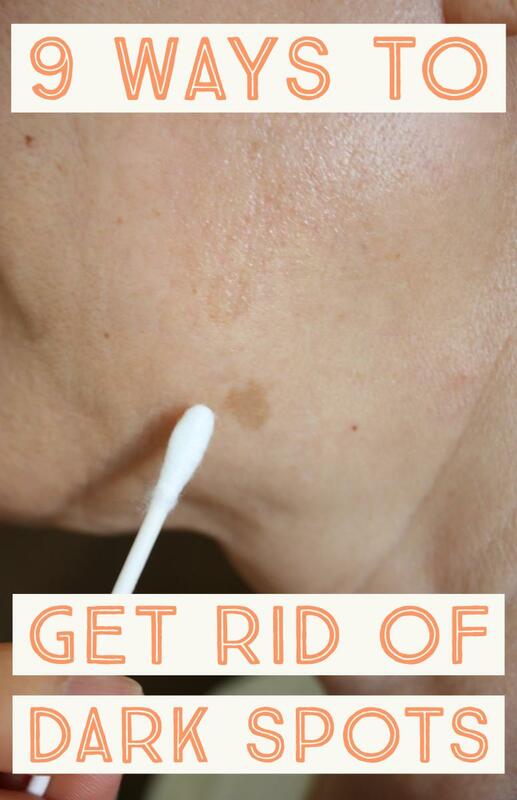 Great information that I will try to get rid of some new acne marks I recently gained. 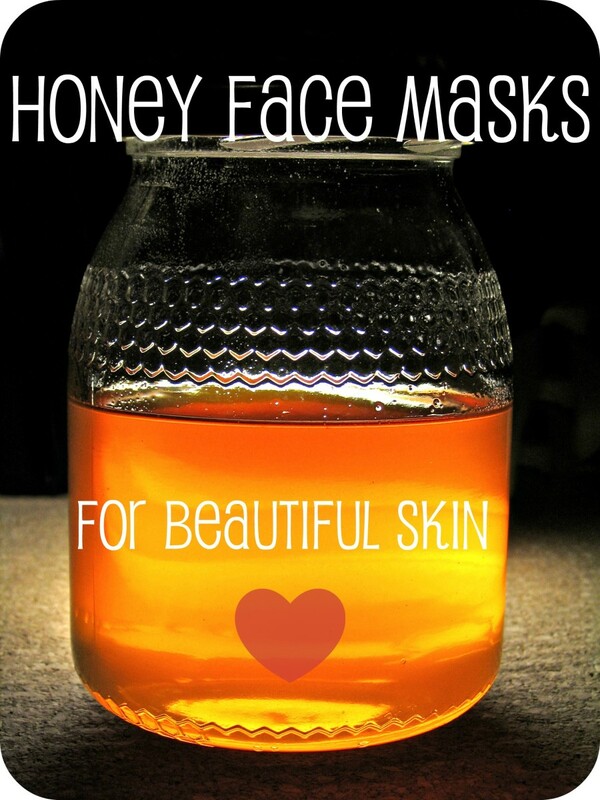 Honey works well for tightening our skin and is a good moisturizer. I read all your articles and find them extremely useful. You are such an excellent writer and you give us an in-depth information about everything you write. These are really interesting honey masks. I used to do honey and yogurt years ago and it worked great with my skin. I'll be sharing this great hub and passing it along! can i use vit c powder in stead off orange skins?. how many times a week should i apply this mask? Interesting page and thank you for the recipes. I truly agree with you that honey and cinnamon combinations are very beneficial. Wow, I had no idea honey could be so beneficial for your skin. Thank you for sharing. A well organized and neatly written hub :). I'm tempted to try, but I have bad allergies, maybe I can do a spot test. Thank you for sharing. I try the mask. I love it. My face feels good. I only use the honey and a bar of lemon soap. Great article, I love raw honey and it has many wonderful uses. These seem like excellent face masks, honey does wonders to your skin and leaves your face incredibly smooth! 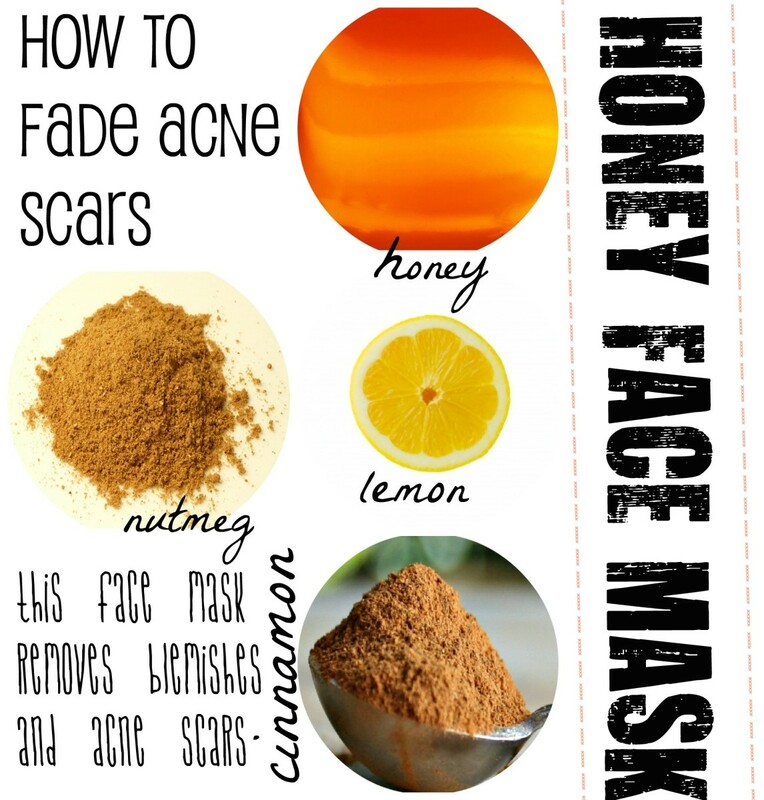 Another face mask that is super easy and extremely beneficial is a simple honey and cinnamon mask. Thank you for your article. I like the way. You explained the honey mask instructions. Your mask is easy to make. I am going to try it in my next spa treatment. I love it. Mister healmunsta. Wow, honey is so delicious, and it turns out it's extremely beneficial! It's like the best of both worlds, it's so interesting that sometimes the best remedies are found in nature. Voted up! Great information that I can use. Thank you. Thank you for sharing! I am Pinning this one. Bookmarking this one! And thanks for posting the useful information! I use the Honey face mask by Alpha Mane Skin treatments along with their skin cleanser. Really helped with my acne. My daughter has been using a honey mask and she loves the way it makes her skin feel moisturized. I think I need a beauty day when I try this, as well! No need to spend a fortune on top brands when you have at your fingertips the refrigerator and pantry to create your own products. Once a week apply a mask naturally after cleaning your skin well to allow penetration. Excellent, very well researched and explained. Thank you for Sharing!